Phosphoaluminate cement (PAC) clinker had good mechanical properties at early and long-term period. In comparison, the compressive strength of PAC clinker modified by BaO was more prominent. As primary mineral phase for PAC clinker, CA’s mineralogical structure and hydration characteristics were intimately related to the compressive strength of hardened cement paste. 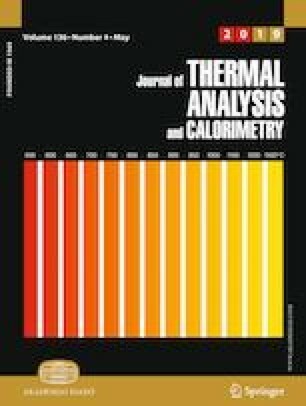 In this study, the effects of BaO content on the calcination, mineralogical structure and hydration characteristics of CA were investigated. Experimental results showed that the appropriate calcination temperature of CA was 1400 °C. No more than 11% (the substitution ratio of BaO for CaO) addition of BaO can promote the conversion of C12A7 to CA and increase the formation ratio of CA. Appropriate content of 7 mol% BaO could endow the hardened paste with excellent compressive strength. In CA mineral phase the high limit addition of BaO was 15 mol%. The addition of BaO decreased and even restrained the formation of C2AH8 and C3AH6 of CA hydration products and also improved the content of CAH10. The addition of BaO dramatically decreased the hydration velocity and cumulative heat of CA mineral. This work is supported by the 13th Five-Year State Key Development Program (2016YFB0303505), Natural Science Foundations of China (51672108), Key Research and Development Plan of Shandong Province (2018GGX107009), postdoctoral program of China (2018M633742) and University of Jinan (XBH1718). Also, supports from the 111 Project of International Corporation on Advanced Cement-based Materials (No. D17001) are greatly appreciated.